Find a babysitter for your husband and buy enough pop tarts to feed the kids for a few days it’s time to indulge in a girls’ trip! Family holidays create special memories, romantic escapes help keep that spark, but there is nothing quite like the fun you experience on a girl’s trip. Letting down your hair, laughing, and drink too much wine with your friends is an experience we all need to indulge in time to time when our busy schedules allow. Before you head away, check out our list of the best girls’ trip destinations! Sunsets over mountainous terrain with a roaring fire and cocktails in hand, need we say more? The Gold Coast hinterland is a beautiful setting that will provide an endless camera roll of landscape, waterfall, sunset and group photos. Spend your days chasing waterfalls, getting adventurous with a mountain climb or spot of abseiling, or indulging on a food and wine tour before cosying up to a fireplace for an evening of gossip, drinks and good food. 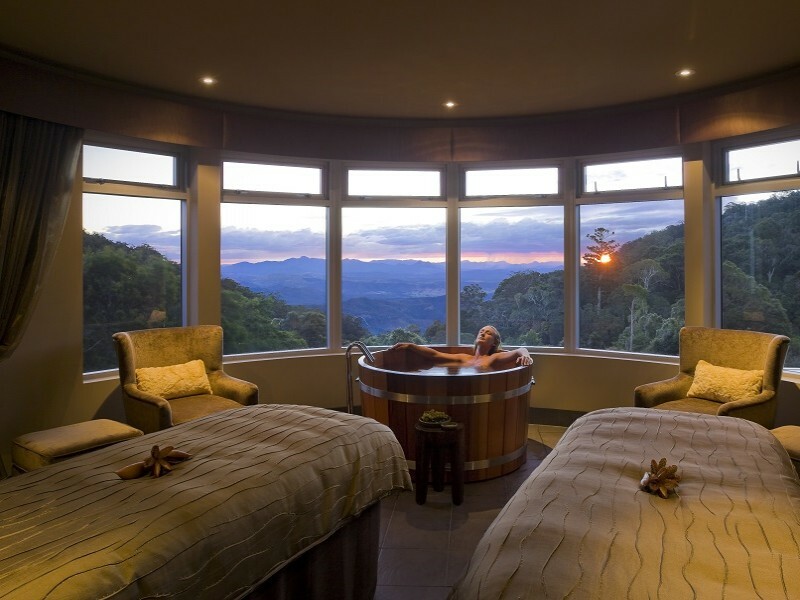 See our Gold Coast Hinterland Holidays! One of the most beautiful destinations in the world! In the Whitsundays you and the girls can spend the days island hoping, snorkelling, taking scenic flights over Great Barrier Reef or simply lazing by the pool enjoying the views. When dusk hits you can throw on your heels and hit the strip for a night of cocktails, dancing, and good times! Check out our Whitsundays Hot Deals now! A hidden gem, Port Douglas is a foodie haven, famous for incredible resorts with impressive pools, and access to the rainforest and reef. 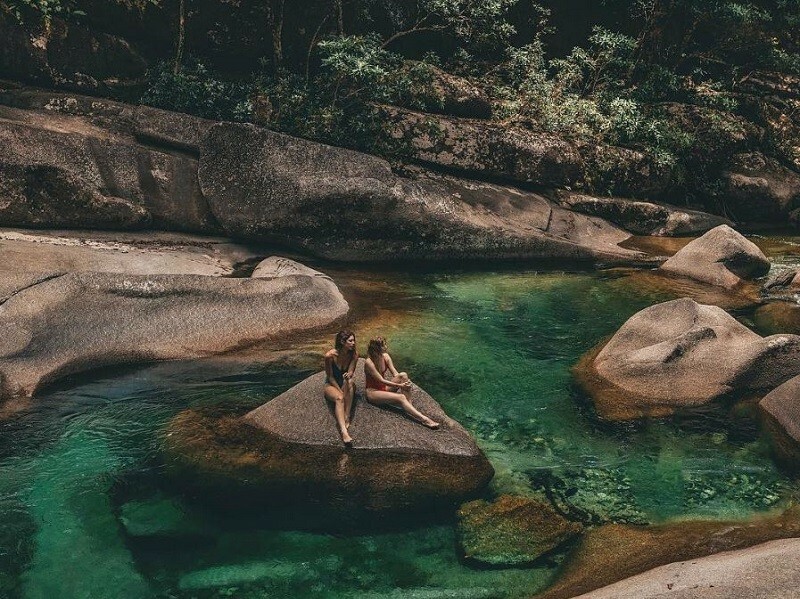 From a morning hiking to Mossman Gorge to an afternoon indulging in cuisine along Macrossan St, to entire days by the resort pool, this holiday is entire customisable to your group of friends. Take a look at our Port Douglas holidays or call us on 1300 788 553. The hub of coastal charm and sophistication! Nothing says girls’ trip like a shopping expedition along Hastings St, a dip in the ocean at Main Beach (in your new swimmers) and a nice dinner out! Noosa heads is a must see with a multitude of beautiful rainforest walks and secluded beaches to enjoy. Enjoy the coastal Noosa Heads walk to Fairy Pools and enjoy a dip! 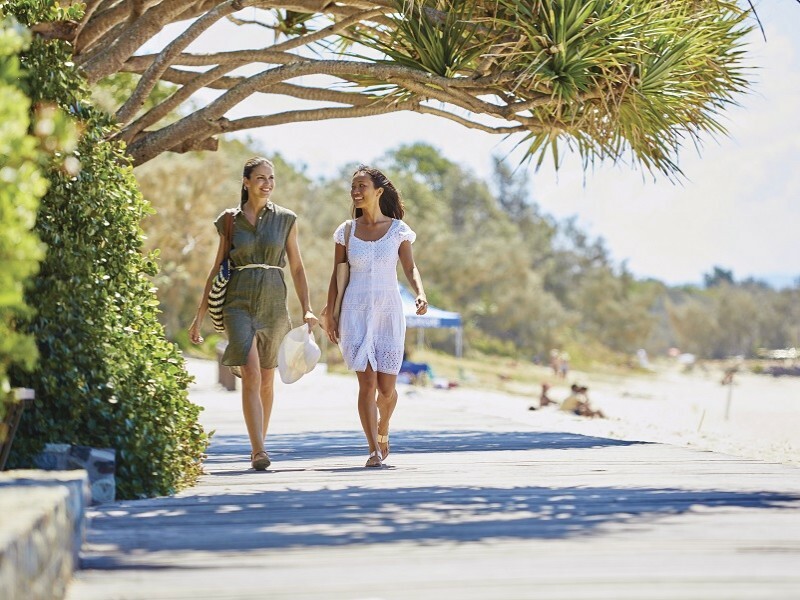 Browse our Noosa accommodation for your next girls' trip. Broadbeach on the Gold Coast is peppered with cafes, restaurants and boutiques, is home to the enormous Pacific Fair Shopping Centre, The Star Casino, roof top bars, and world class beaches. Start the day with a coffee and beach walk before pampering yourself at Pacific Fair then heading over to the Casino - the activities here are endless! See all of our Broadbeach deals or call us on 1300 788 553 to organise your next girls' trip!